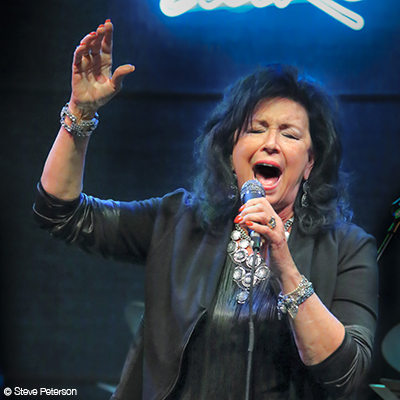 Patty Peterson, one of the most beloved and iconic vocalists in the Twin Cities is living her gift by presenting the songs of one of her own idols in her highly esteemed show, “Memories – The Music of Barbra Streisand”. With the help of musical director and renowned pianist/arranger Sean Turner, Patty pays homage to one of the most iconic artists of all time, “Babs.” Lending her own expressive vocal style, Patty will perform favorite selections from Streisand’s extensive library including “People,” “Guilty,” “Evergreen,” “On A Clear Day” and many more. These songs have captured the hearts of anyone who has ever heard the music of “Babs.” This beautiful show will leave you with the feeling that “Happy Days are Here Again!” Joining Patty Peterson and Sean Turner for these shows will be Mary Jane Alm – vocals, Aimée Lee– vocals, Wayne Anthony Cullinan – vocals, Tony Axtell – Bass, Peter Hennig – drums and Phil Kadidlo – keyboards.